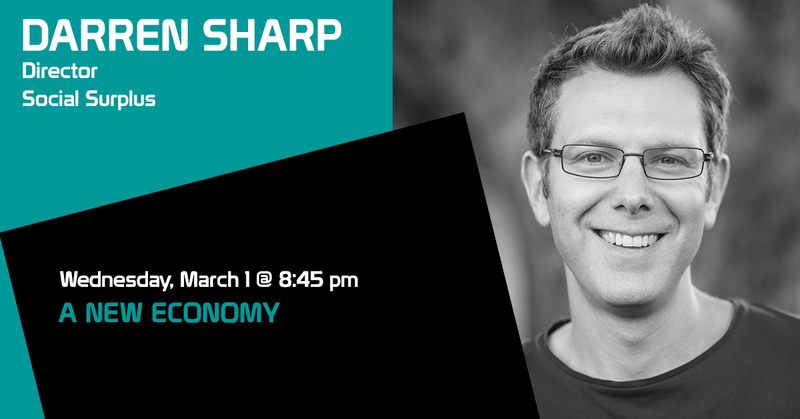 Darren Sharp is a sharing economy strategist and founding Director of Social Surplus, a strategy consultancy that works with governments and other public sector organisations to activate local sharing communities using strength-based and design-led approaches. He is the Australian editor of Shareable, the Melbourne coordinator of the Sharing Cities Network and part of an international team writing a book on Sharing Cities. Darren is co-founder of the Commons Transition Coalition, a steering group member of the New Economy Network Australia and works with fellow systempreneurs to further commons-based solutions to urban challenges via advocacy, research and co-operative enterprise development. Darren is also a PhD candidate at Curtin University Sustainability Policy Institute where he is undertaking doctoral research on Urban Experiments for Sustainability Transitions funded by the CRC for Low Carbon Living.